Only a few minutes walk to the beach, shops and cafes via private stairs beside the house. All rooms face the sea. Families only. 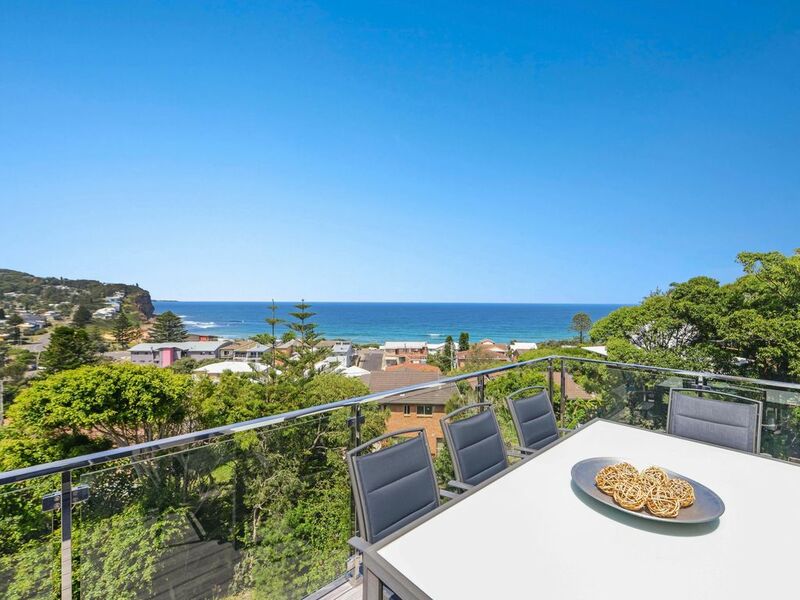 On the entry level is the main living area with expansive views of the beach opening onto the deck. The lounge has a flat screen TV and dvd player, plus Ipod docking station and a wood burning stove for chilly nights. There is a well equipped kitchen with the latest appliances. Laundry with washer and dryer and second refrigerator.There is also a quiet sunroom for relaxing with a good book. The second level has a master retreat with queen bed, ensuite and walk in robe. This floor has 2 more bedrooms, one with a double and the other with two singles. All bedrooms have sliding doors onto the deck and beach views. The fourth bedroom is on the bottom level containing queen bed, with en suite. The spacious rumpus room has a living area with a large flat screen TV and dvd and one set of bunks.